A portraitist and history painter, John Singleton Copley is held to be the most talented American painter of the colonial period. Born in Boston or the surrounding area, he was introduced to the world of art by his stepfather, Peter Pelham, an English painter and engraver who had emigrated to the United States in 1727. Copley’s earliest paintings dating from about 1750, which display the influence of the Boston-based English artist Joseph Blackburn, evidence his talent as a colourist and great skill at capturing different textures in a realistic manner. 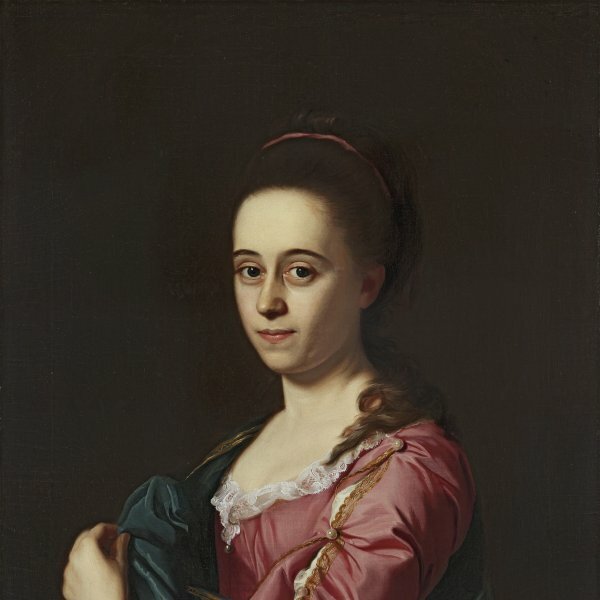 He produced his first bust-length portrait in 1753 and began to broaden his repertoire in 1764 with compositions showing the sitters full length. The following year he sent the portrait of his stepbrother, Henry Pelham (Boy with a Squirrel) 1765 (Boston, Museum of Fine Arts), to the spring exhibition of the London Society of Artists. The painters Joshua Reynolds and Benjamin West praised the work and advised Copley to spend a period in Europe to polish his style. Copley’s reputation as a portraitist progressively grew among the middle class of Boston, where he lived until the beginning of the 1770s. In 1771 he moved to New York and in 1774 he left the country for good to travel to London and from there make a tour of Europe. His decision to settle in Britain, where he died in 1815, appears to have been influenced by the atmosphere of growing tension that later erupted into the War of Independence, but above all by personal artistic reasons. Copley carried on painting portraits in the British capital, though he became increasingly interested in executing history paintings in large format.